After three successful electronic albums recorded and released as part of Jazzanova’s label Sonar Kollektiv, Berlin based Micatone explore a more organic way of making music. 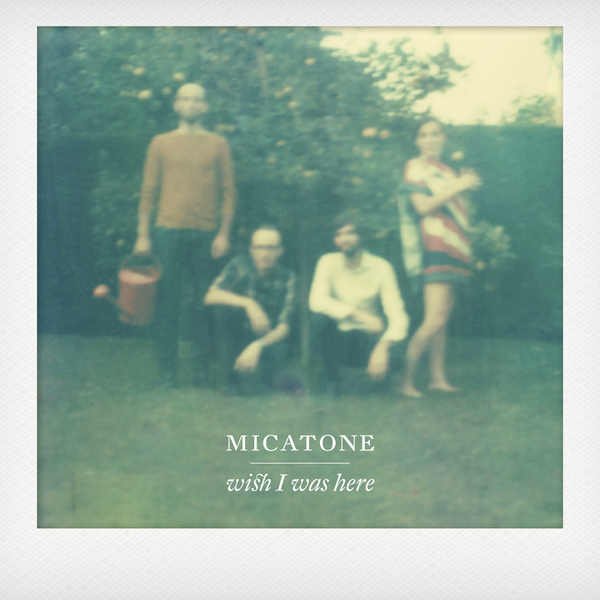 Most commonly known for their nu-jazz, broken beat style, Micatone hit us with a luscious new album titled ‘Wish I Was Here’ replacing computers and beat-making machines by recording the whole album entirely live. P&S catch up with the band to talk about collaborations on the album and their love for live touring. P&S: Hi Guys. Thanks for taking the time to answer some questions for us. It’s been seven years since your last studio album ‘Nomad Songs’ tell us about some of your highlights since then. The whole process of making the new album was a great experience. Recording the music while you are playing together with your friends in a studio room was a pretty new experience for us. And even though we didn’t have a new album out, another big highlight for us was playing some of our best concerts. With this being your first live album, what can we expect from ‘Wish I Was Here’? Usually live albums are recorded in front of an audience, ‘Wish I Was Here’ was recorded in our studio and rehearsal room. It’s the first album we recorded as a band, playing together in a room similar to a live situation. That was much more fun than building our recordings in front of the computer, and as a natural consequence the new album sounds much more organic and unquantized. The album credits collaborations with some of the globes finest musicians including Stuart Staples (tindersticks), Earl Harvin (Air) and Martin Wenk (Calexico/Nada Surf). What were your reasons for inviting these artists onto the album and what did they add to the mix? We met the guys from tindersticks at a festival in 2001 and since then we stayed in loose contact. When I wrote the song “Handbrake“ we immediately thought of Stuarts voice as a perfect addition to the song. We sent the demo to him, and he and his wife Susan liked the song so much that he freely added the lyrics. Martin Wenk of Calexico is a Berlin Based Musician and a friend of ours, he was glad to add his unique sound to some of our songs. Looking ahead to the next album, will you return to a more electronically influenced downbeat record or are you going to continue with an organic live sound? We really enjoyed the process of making an album that way. Recording music in a more traditional way was pretty new for us when we started with “Wish I Was Here” and we think that there is much more to discover looking forward. Who do you rate amongst your past and current musical influences? You’ve expressed the desire to play more live music and in front of bigger audiences, what would be your dream venue to headline? We’d love to play more festivals. We just love the outdoor vibe! Are you appearing at any European festivals this year and have you got any plans for a live UK tour in 2012? We’re excited to announce that we have just launched a new booking agency, and we have live gigs coming up in Europe over the next couple of months. We plan to come to the UK in autumn so keep checking our website micatone.de and our Facebook page for dates. PLUS you can download a free remixed track from our new album. You continue to release music with hometown buddies Sonar Kollektiv, what makes you stay loyal to the label? We are friends with the Jazzanova boys who have run the label for many years, and the Sonar Kollektiv Office is just around the corner. Even though our music is a bit different from the other sonar acts, people often associate us with the label. In retrospective it was always very helpful to be connected to the Sonar Kollektiv and their international collaborators; it opens lots of doors for all involved.